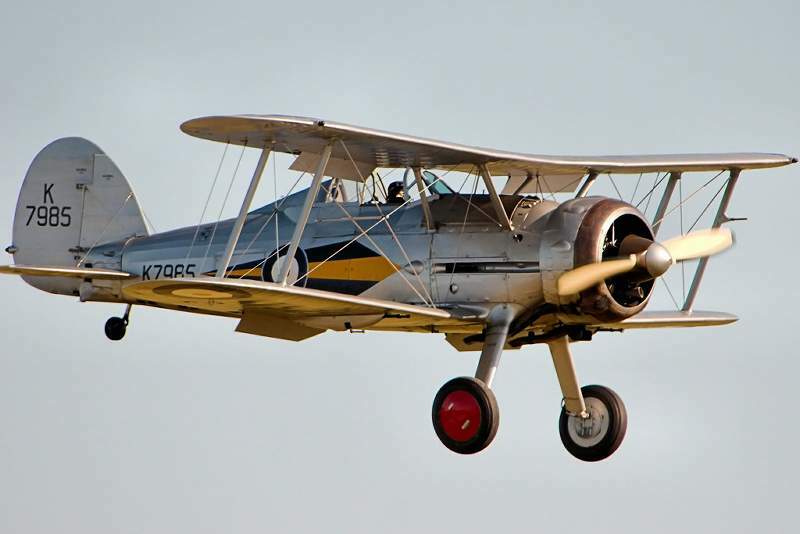 This month's walkaround is Gloster Gladiator K7985 that is currently on display and is airworthy, located at the Shuttleworth Trust at Old Warden in Bedfordshire, UK. This walk around was kindly donated by member Steven Barker and John Carpenter and features 69 beautiful images of this wonderful subject. This is a great subject and a MUST for your walk-around collection. Well, now you have thrown the Cat among the Pigeons. I was all set to make a Henschel HS-123 my next project and now you give me all those great photos of one of my favorite aircraft. It has two special attributes. It was the last RAF Biplane fighter, and also the First RAF fighter with a fully enclosed cockpit. Now I have to make another almost definite decision! Rigid Flexibility is the only answer. Please engage Brain before operating tongue or machinery. These pictures are very useful and demonstrate how this plane is matchless. Only problem I have with that is that I already have 3 Silver planes. A Fiat CR-32, A Hawker Fury1 and a Sopwith Snipe. Understand you. We have to choose some next color camo with silver base. Blue and yellow in this case. My Tiger Moth will be red and white squares from Shuttleworth.